The upper level courtyard contains 4 separate ablution rooms, two women’s and two men’s. Each ablution room contains 2 high pressure showers and 2 toilets. 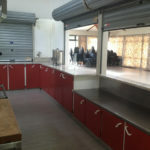 Plenty of room for wheelchair access along with a separate wheelchair toilet room close to the kitchen and accessible by ramp from the main courtyard area. Another small toilet is located close to the kitchen which is perfect for use for groups using the dining area. The Clements building contains 2 toilets only. The lower level ablution block is currently in the planning process for upgrading. Two plumbed portable units are on site for men and women and are gas operated for instant hot water. In each unit there are 4 showers and 3 toilets. While staying on site groups have free access to our salt chlorinated pool. Enjoy a cool dip during the summer months and keep the children entertained for hours. There are several playground areas on site that children can access on each level of the camp grounds along with giant draught and chess sets. Take a short walk through our native bush area or take advantage of the seating and just relax and enjoy the fresh air! You may even be lucky enough to spot a Morepork or Wood pigeon. Our commercial type BBQ’s are bigger than your standard size, making them perfect to hire for large groups and their catering needs. Use it to cook your entire summer BBQ meat or combine your menu to work around the BBQ and the ovens. There is one BBQ available for hire on each level and comes with gas. Since we are located right on the edge of the Waikato River why not bring your own boat, water toys and water sports equipment. We have a generous concreted boat ramp and jetty for easy access for boats with plenty of parking room. There are speed restrictions of 5 knots right out from the camp making this a safe location to paddle board or kayak, with skiing lanes just a few minutes downstream. 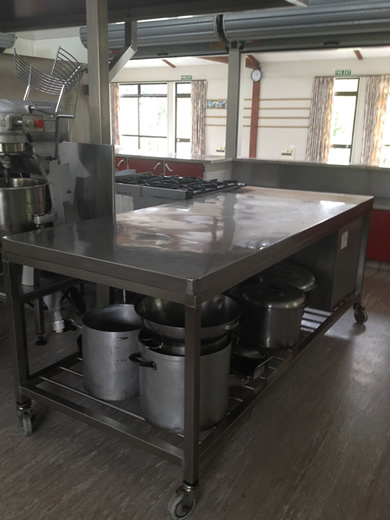 Groups have the option of self-catering in our commercially equipped in our Laurenson block kitchen or well-appointed Marae style kitchen. 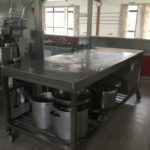 This commercial equipped kitchen is a breeze to work in and provides all the necessities for self-catering groups. 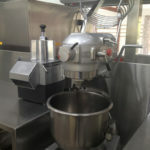 Well set out and functional it will make your next cooking experience a pleasure. 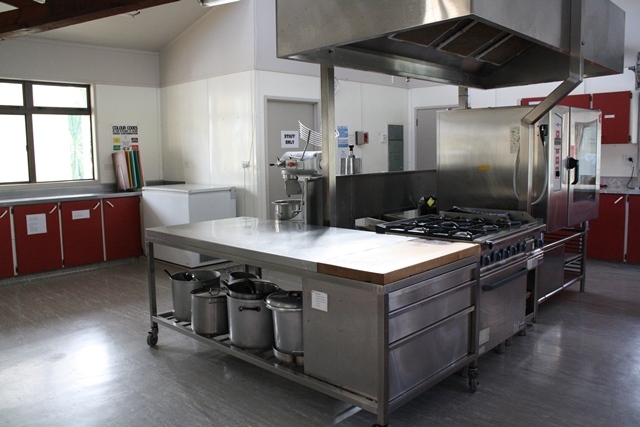 This kitchen is located in the Marae block in the lower level of the camp and provides cooking premises for groups staying in the Family Lodge or Marae. 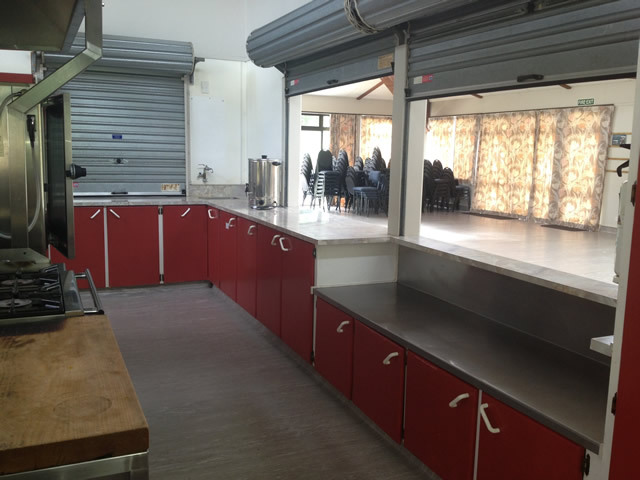 To make your stay as stress free as possible, use our in-house catering services. 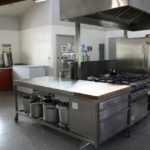 We use fresh local ingredients to produce tasty and nutritious meals at a reasonable price. Catered meals can include Breakfast, morning and afternoon tea, lunch, dinner and dessert depending on group’s requirements and budget. Free coffee/tea provided for adults with full catering. Meal times are usually 7:30am / 12:30pm / 6pm. 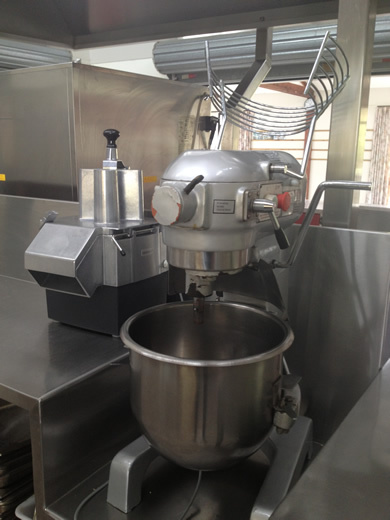 Allowances can be made to alter these times to better suit your groups programme.